The EB5 program enables a qualified Indian investor to obtain Permanent Residency for themselves and their immediate family by making an investment in the United States that creates ten jobs for U.S. workers. Further information on the EB5 process as it applies to all Indian Nationals can be obtained by clicking on this link. 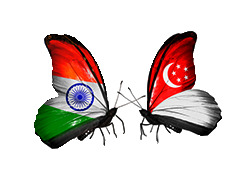 As with many regions of the world there are special considerations for Indian Nationals who are resident in Singapore. Davies & Associates is familiar with these issues and seamlessly guides clients through the EB5 process. 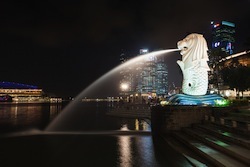 As a leading U.S. immigration law firm focused on providing outstanding service and value to Indian Nationals seeking EB-5 visas Davies & Associates recognizes the importance of Singapore to many of our Indian clients. Our global EB5 lawyer frequently visit our clients and their professional advisors in Singapore, we also attend interviews with our clients at the U.S. Consulate on Napier Road. Davies & Associates represents multiple Indian EB5 investors resident in Singapore, the Arabian Gulf, every major metropolitan region of India, the United States and other locations. 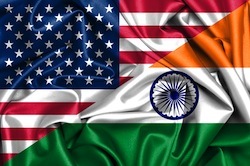 Despite our frequent representation of Indian clients we believe that Davies & Associates is probably unique in terms of our record of success representing Indian clients and with EB5 Petitions in general. As of July 2015 no EB5 Petition of any kind filed by our firm has ever been denied or even been subjected to a Request for Evidence. Part of a successful EB5 Petition involves proving to the US Government that your EB5 investment has come from lawful sources. In our experience many Indian Nationals resident in Singapore require special attention in this with the tracing of their investment funds, our firm is used to assisting clients to provide full and proper documentation in this area. While RBI LRS regulations are not relevant to most Indian Nationals resident in Singapore this is not always the case. Where assets that will be used for EB5 purposes that are held in India expert advice on the RBI regulations is required. 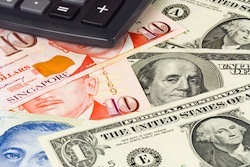 Singapore is a jurisdiction offering Indian Nationals highly favourable tax advantages. Indian Nationals obtaining a U.S. “green card” subject themselves to global taxation of their worldwide income in the United States. Indian Nationals who engage in proper tax planning BEFORE they obtain a “green card” are often able to restructure their assets so as to legally minimize or eliminate U.S. tax liabilities. Every month of the year the tax lawyers at Davies & Associates assist clients with tax planning ahead of their obtaining a “green card”.